Today, Xiaomi's environmental chain has launched a completely new product. The xiaomi miiiw calculator uses the mijia-like minimalist design and costs only 49 yuan ($ 7). This product has just been unveiled and is not yet ready for sale. 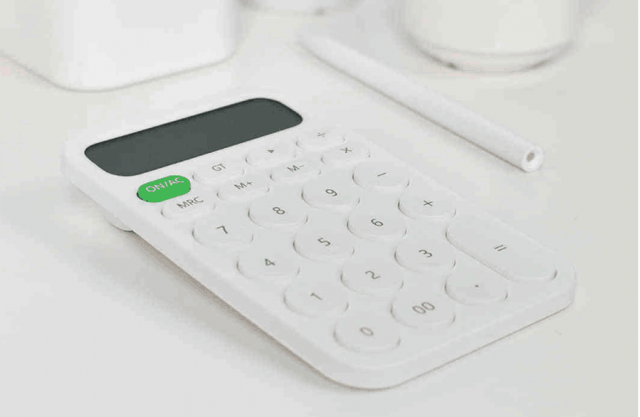 As already mentioned, the xiaomi miiiw calculator continues the minimalist design of mijia and comes with a white, lightweight, lightweight design. So it's very easy to carry. Its LCD display can display up to 12 digits simultaneously. The digital buttons, the addition and subtraction keys use plain smart tapes. The constructors of this calculator are elegant and exquisite. The xiaomi miiiw calculator is made of skin-resistant ABS material that is smooth and lightweight and easy to clean. In addition, there are 23 physical buttons that use the laser engraving process. These buttons have the effect of pushing the button 1. 3 mm. The ON / AC button is custom-decorated with a green aluminum alloy. There is a two-zero key that supports the replacement of a comma, general summing (GT), and the main function of the variable (F). When you press the MRC button for the first time, the contents of the memory will be displayed and will be deleted with the second push of the contents. But for some reason, the maker has not used another button to calculate a quick profit. An extra key row, obviously, did not create a problem. This device has a 7-cell battery that lasts for a long time. The xiaomi miiiw calculator can be placed on the table so that it does not get tired when working with it. 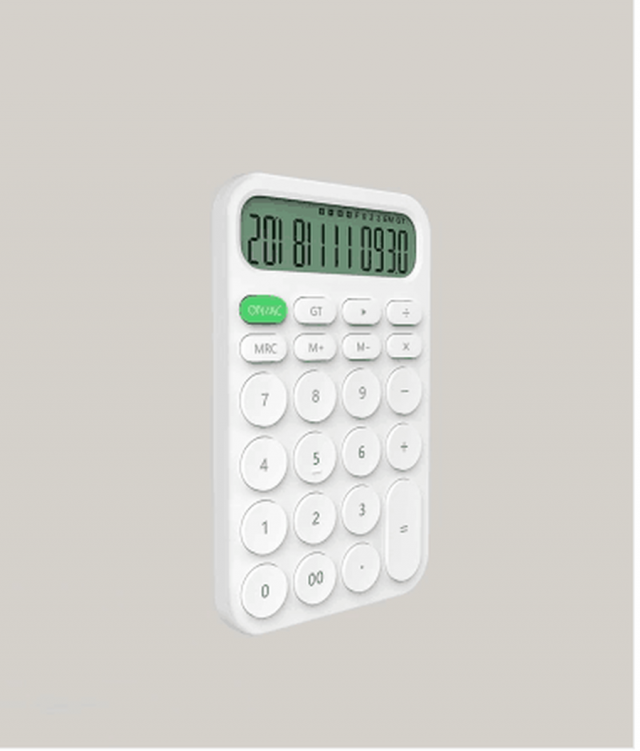 The dimensions are 140 x 87 x 20 mm and weighs 86 g.
The MiiiW technology, the provider of this calculator, was launched in December 2015, the 56th Xiaomi Chain Management Company. The company specializes in the manufacture of computer peripherals and various tools. Its main products include Xiaomi portable mice, Xiaomi mouse mouse, Xiaomi wireless mouse, smart mouse charger pad, and so on.